One of the biggest reasons for the popularity of BlackBerry devices among teens is RIM’s famous BlackBerry Messenger service. It won’t be long, however, before you can access the service on third-party devices, because BlackBerry Messenger is coming to Android. These screenshots, which were obtained by TechRadar, show BlackBerry Messenger in action under Google’s Android operating system. They apparently came from a RIM employee, who has been working with the application and says that it is now in the final stages of testing. 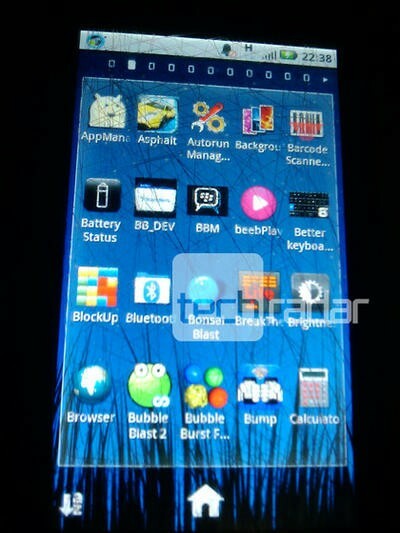 The screenshots show the BBM application’s icon on an Android home screen, and a user’s contact profile taken from within the app. The icon doesn’t look all that pretty, however, it is reportedly still a beta at the moment, and will be a little more polished with the final version of the software. Although there isn’t a lot to see in these screenshots, they are at least evidence that BlackBerry Messenger is making its way to Android — and possibly other third-party platforms. The service was previously rumored to be making its way to Apple’s iOS operating system as well. Once the service is extended beyond the reach of the BlackBerry OS, it is expected to become a cross-platform messenger that will allow users to communicate with each irrespective of the platform they are running. For example, you should be able to message friends with an Android device from your BlackBerry handset. It’s unclear whether RIM’s recent introductions to BBM, such as BBM Music and in-app chat integration, will also be ported to other platforms, but it’s likely these will stay exclusive to BlackBerry users. As third-party messaging platforms continue to gain popularity, and rival services such as Apple’s iMessage and Samsung’s ChatON service are spawned, RIM must do all it can to maintain interest in BBM. However, extending the service to third-party platforms could be shooting itself in the foot. The popularity of BBM has undoubtedly attracted users to BlackBerry devices in the past, and losing that exclusivity could mean that the company also loses a decent chunk of its customers. There’s likely to be a hefty number of users still clinging on to their BlackBerries simply for their beloved BBM, and its availability on another platform could allow them to finally make the switch. 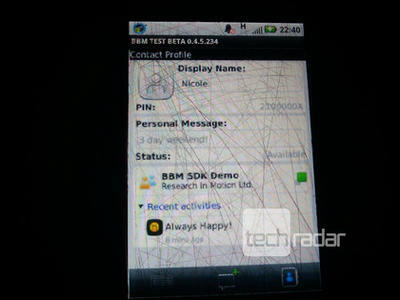 Will you be looking forward to BBM on third-party platforms? And if you’re a BBM users, will its availability on other handsets encourage you to ditch your BlackBerry?